When you live in the northeast during winter, snowstorms are the biggest threat to safety. Not only do they endanger roadways, they can also knock out power and heat for many homes. Therefore, to ensure you never suffer from an unexpected storm, the best winter safety tip is to plan ahead for emergencies. 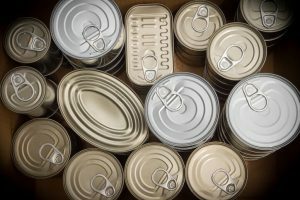 You can start by stocking up on non-perishable foods. Then, try to put together an emergency kit with extra flashlights, batteries, first aid kits and anything else you can think of. However, the best way to guarantee you’re never caught off guard is by staying up-to-date with the latest forecasts. 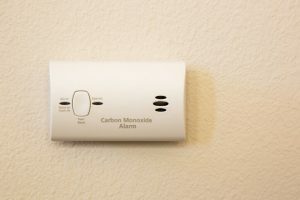 Many people don’t know this but January has more carbon monoxide poisonings than any other month of the year. Therefore, start by checking your CO detector batteries. In order to ensure it never dies unexpectedly, replace batteries at least twice a year. Although most people are very aware of the danger, never heat your residence with a gas range or oven. Furthermore, although it’s not necessarily a specifically winter safety tip, never run a vehicle inside an enclosed garage. 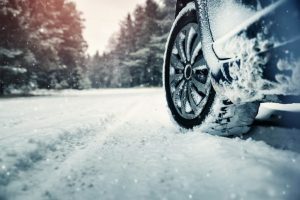 Since snow and ice often plague roadways, there’s a fair amount of preparation that goes into winter proofing your vehicle. Before the season arrives, take it to a service center to test the radiator, maintain antifreeze levels and check the tire treads. If need be, you can even put on all-weather or snow tires. Furthermore, fill your gas tank before a potential storm to avoid ice buildup and long fuel lines. Just like your home, it’s wise to put an emergency kit with blankets, booster cables, flares and a compass or map in your car. Using these winter safety tips, you can protect yourself from the unexpected hazards of the cold season ahead.